Something one the line of the 2 links I showed you is what I want to get. That's fine - just have to make sure your hydraulic jack can lift the car high enough to clear the jack stand's minimum height. As for the max height - that is up to you, how comfortable you feel the height you can jack the car up to. 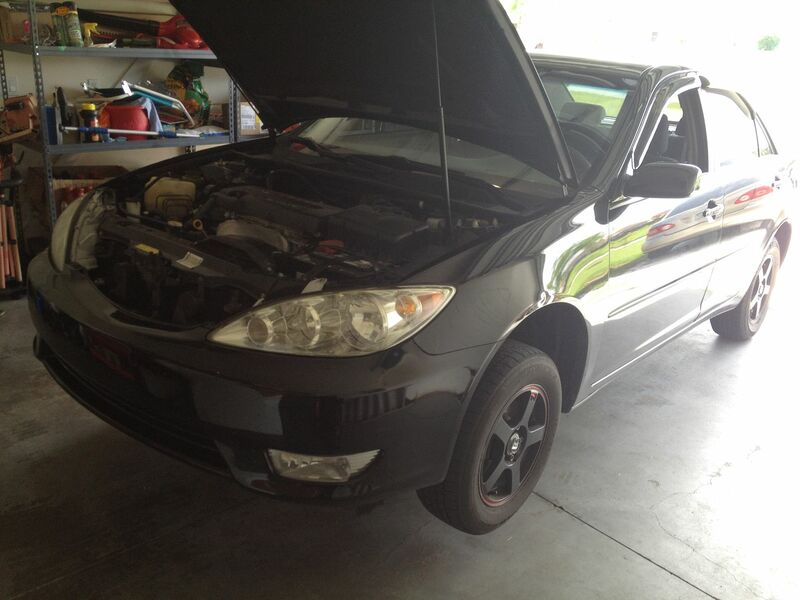 I do not know anything about jack stands. I did not know it was that hard to pick out jack stands. I keep asking questions because I want really good w ones that are very safe so do not get hurt my life is on the line. 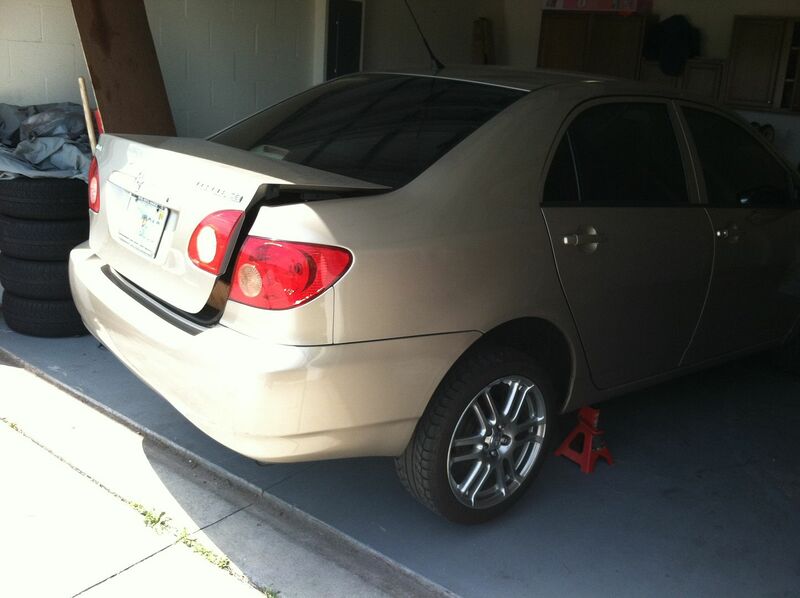 That is why I keep asking what are good jack stands to jack up car. When my life is on the line I want something close to what you have in stands I value your opinion. I totally understand - but keep in mind, each and every situation is different. As mentioned before - you can buy the best jack stands money can buy, but if not placed properly - won't protect you at all. Don't get hung up on brands or which ones people have or which ones are supposedly "safer" - buy a set that fits your budget, learn how to properly place them, see how the car sits on the jack and jack stands As your needs require it - buy more or different jack stands. The likelyhood of a car falling on you or not depends on how you prepared the work site - if your working on something that can give (dirt, gravel, etc.) or something that is sloped (sloping driveway), then that will dictate what you need. 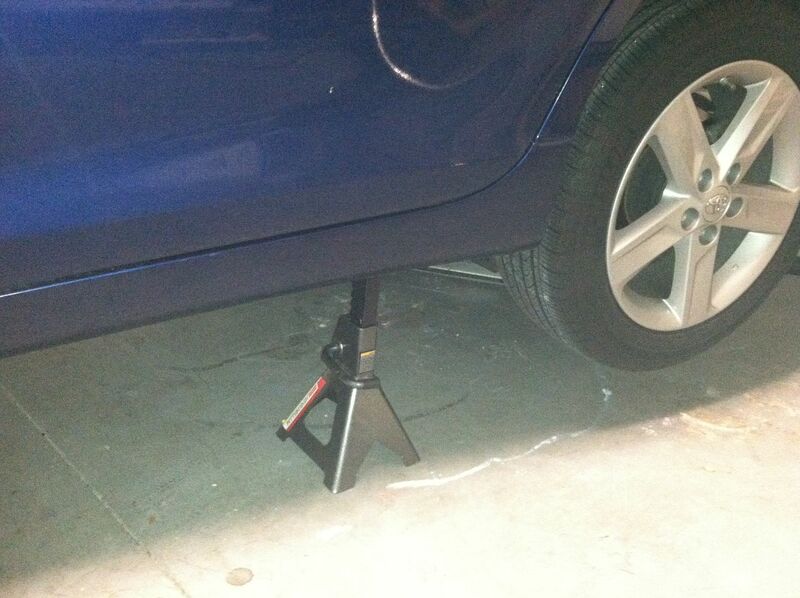 Pretty much any jack and jack stands, properly placed will give you ample protection. As for or jacks or jack stands collapsing - that almost never happens IF the jacks are used correctly (level ground, weight evenly distributed). Usually, when it happens - usually around professionals, as they can get complacent and not expect there to be any issue or from DIYer that get in a hurry and just toss the jack stand under the vehicle. You can search for and find lots of pictures of jack and jack stand failures - even ones from well known companies that folded like tissue paper, because they were not placed properly - regardless if they were the ratchet type or pin type, trolley jack, bottle jack, or floor jack. 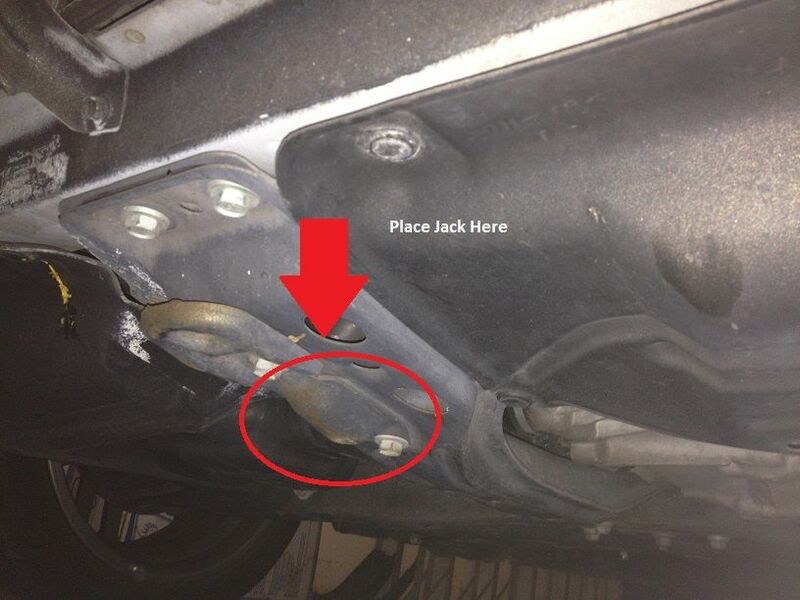 Here is an example of a pretty safe way to jack up a vehicle, this particular one was on another forum - full size SUV, they are trying to change out the rear wheel bearing and BBK. 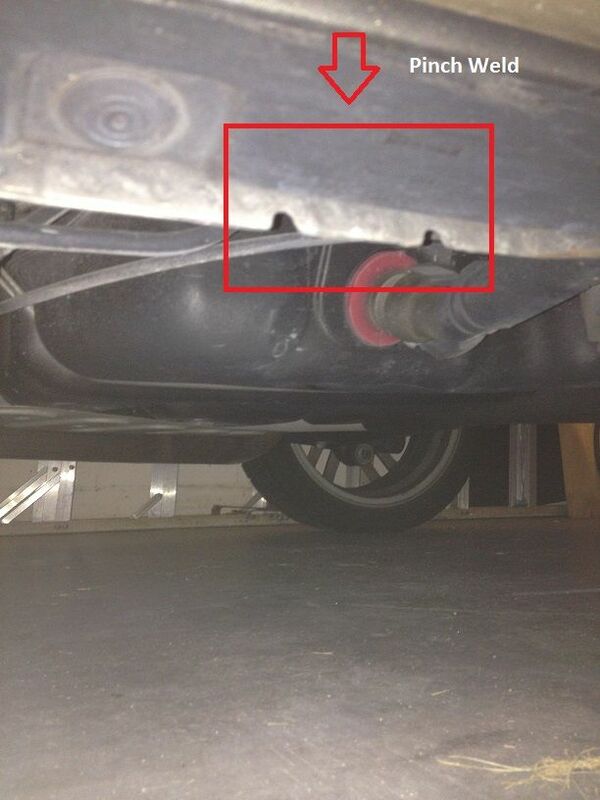 Note the floor jack on the lower control arm, close to where the work will be done. 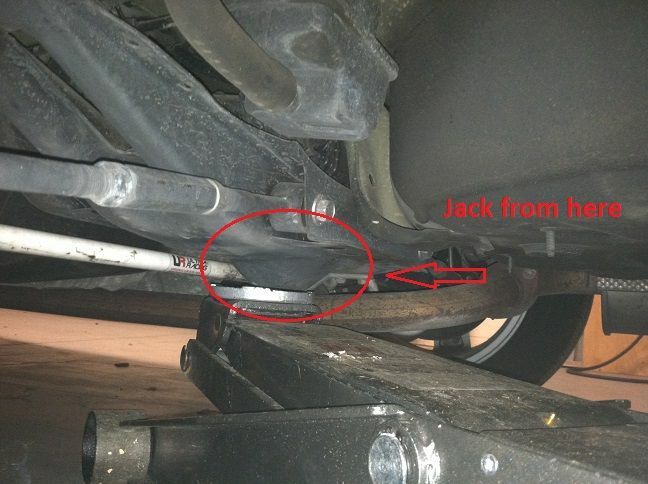 Jack is still engaged to the control arm, it is supporting some weight. They removed the handle from the floor jack, so as to eliminate the chance of anyone tripping over it. Jack stand is placed as close as possible to the jack point, but still enough room allowed for them to do the work, some of the weight is transferred to the jack - rocker is making contact with the load arm. 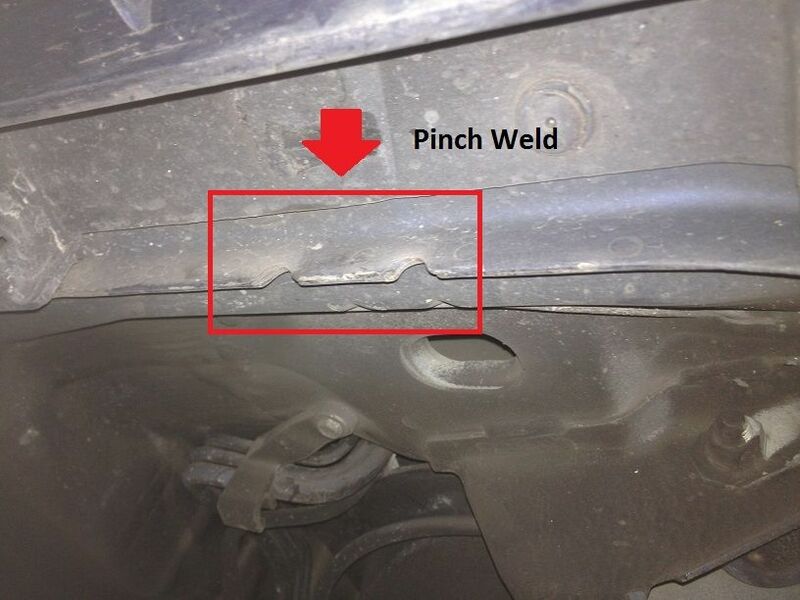 Wheel is shoved under the rocker panel to act as a tertiary safety device. All tools close by, laid out for easy access - floor is concrete and appears to be pretty level. Notice the label on the jackstands - Duralast part - jack stands cost about $25 for the pair. Nothing fancy, still perfectly safe - all in how you setup. I'm sorry what kind of trolley jack do you have. Brand and ton. Just curious. I think my floor jack is a 3-4 ton model - don't remember the brand, probably a Wesco or Michelin, both I don't think are made anymore - probably close to 15-20 years old now. Weights atleast 120-130 pounds. Technically trolley jacks and floor jacks are different. For a given rating, trolley jacks tend to be lighter and more compact than the floor jack counter parts - up to a certain point. Might pickup one of the newer aluminum floor jacks here someday, still haven't decided which one yet - tired of rolling out this heavy floor jack and would like to carry one in the car when I do track events. The lighter of the two the trolley jack should be good for my needs oil changes and tire rotation or do I need floor jack. Whichever is lighter - which I'm assuming will likely be the trolley jack. Most should be low enough to pickup most cars. My Corolla has been lowered on TRD springs, so a trolley jack won't fit under there anymore - I have to use the floor jack. I am going to look into one of those new aluminum floor jacks you mentioned. I want to see the price and where they sell the. Right now I do not have any jack. 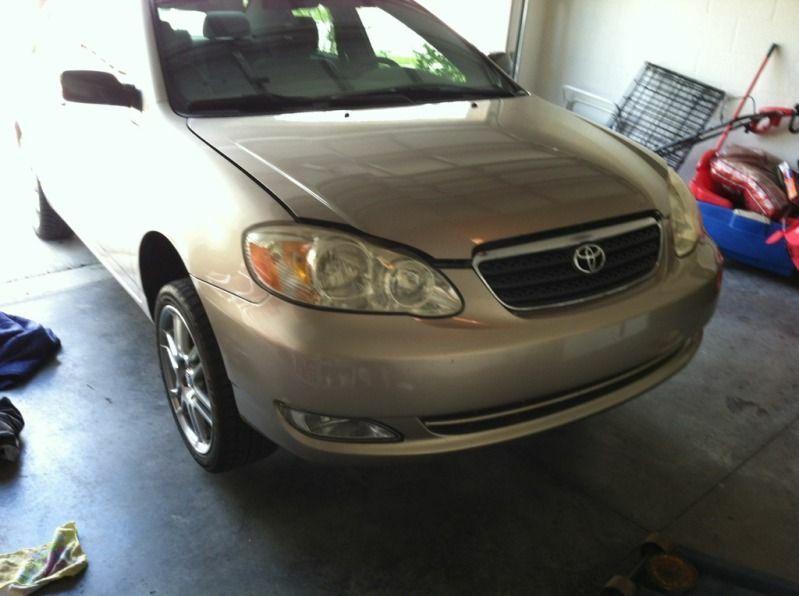 These pictures are of an 05 corolla and 07 Camry. They are front and rear pictures. 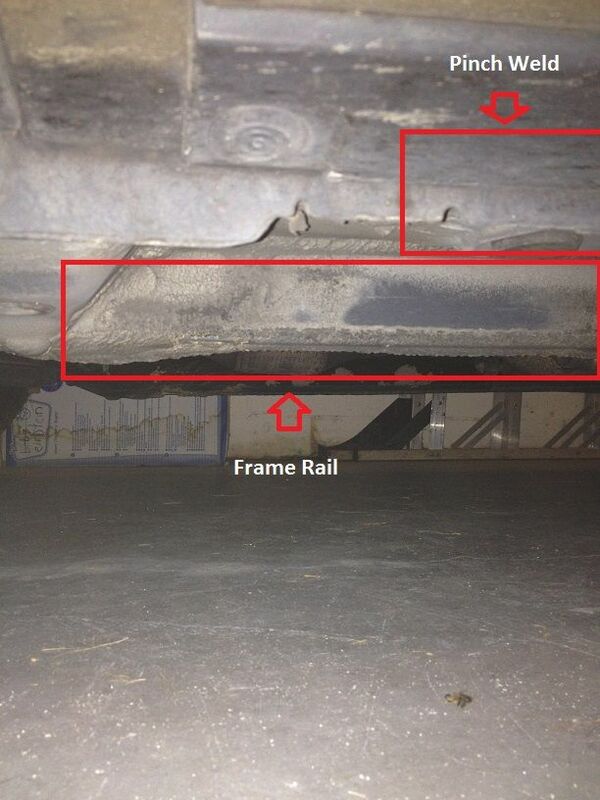 The pictures show you where to jack up both cars front and rear and also where to place jack stands front and rear. In your opinion is this a good way to jack up both cars. Also is this good spots for jack stands. 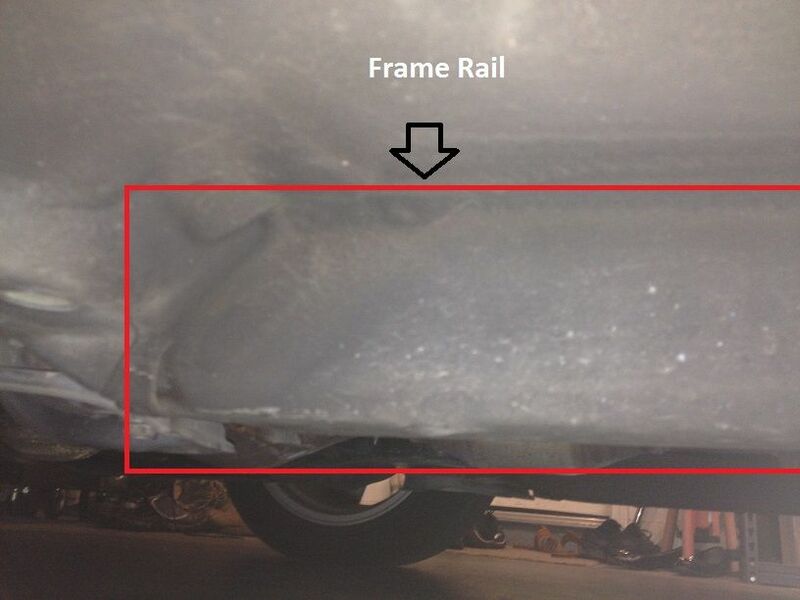 Here are the jacking pics for the front and rear of the Corolla and Camry. Place the jack stands under the pinch welds (piece that runs along the side of the car) or the frame rail (I prefer these). Image: http://i134.photobucket.com/albums/q93/hardtopte72/DIY%20Section/IMG_1385_zps202debad.jpg Image: http://i134.photobucket.com/albums/q93/hardtopte72/DIY%20Section/IMG_1340_zps07d23edf.jpg Image: http://i134.photobucket.com/albums/q93/hardtopte72/DIY%20Section/IMG_0819_zps20efa30a.jpg (http://s134.photobucket.com/user/hardtopte72/media/DIY%20Section/IMG_0819_zps20efa30a. I recognize that username - yeah, those are legitimate jack points on both cars. He is a Toyota tech, so lots of his posts on TN are very useful. The same points are indicated in your owner's manual for both cars - for future reference. Whatever you end up - be sure to post up a review. I'm still thinking about an aluminum floor jack. Buddies of mine are trying to talk me into a Brunnhoelzl professional aluminum jack (same as the ones they use in NASCAR and circle track racing), extremely lightweight 20-25lbs weight, up to 23" lift, 1, 3, or 6 pump models, 2.5 ton capacity. But I have a hard time swallowing the close to $1500 price tag on the single pump model - the 3 and 6 pump models are over $800. 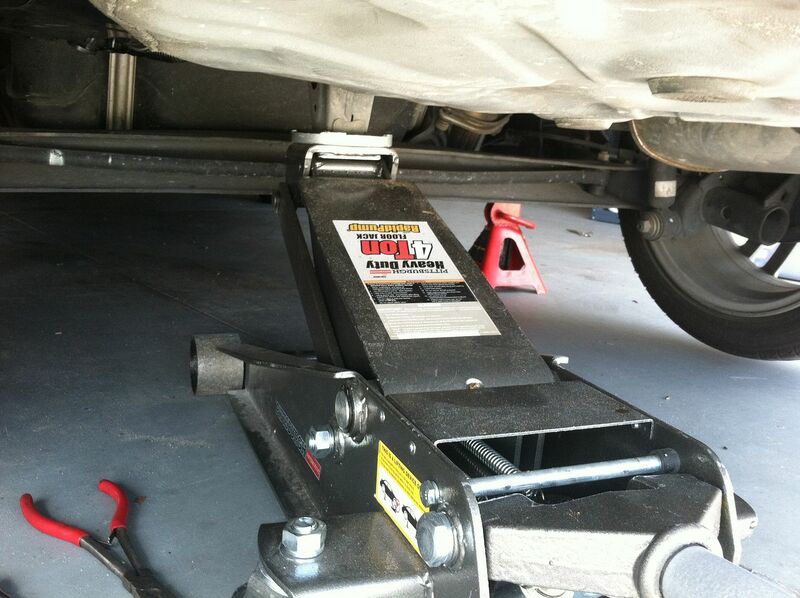 Standard aluminum pit jacks are in the $400-$500 range. These are the ones that other companies are trying to copy - lots of knock offs in the market. That sort of money - I could install a KwikLift in my garage and lift the whole car up. 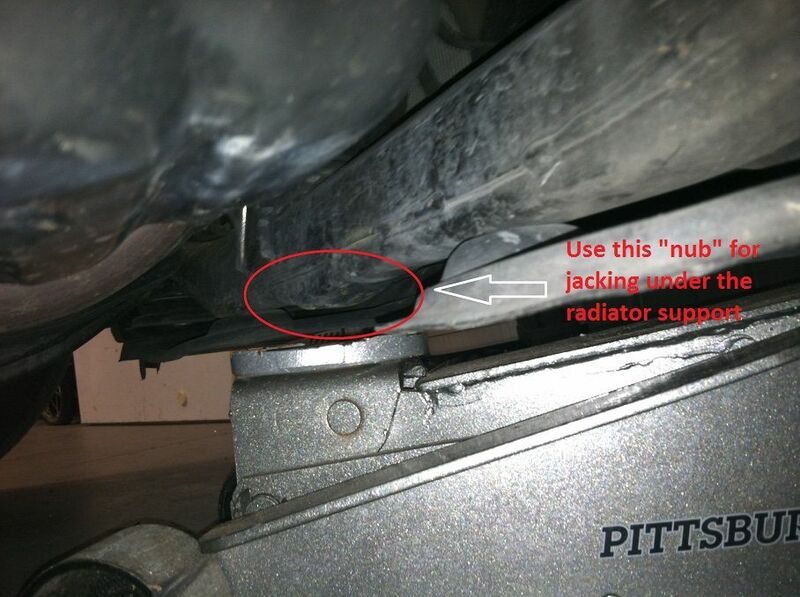 I would also assume the pictures of where to put the jack stands are also legitimate and the right spots. The new aluminum jacks are they expensive. Correct. 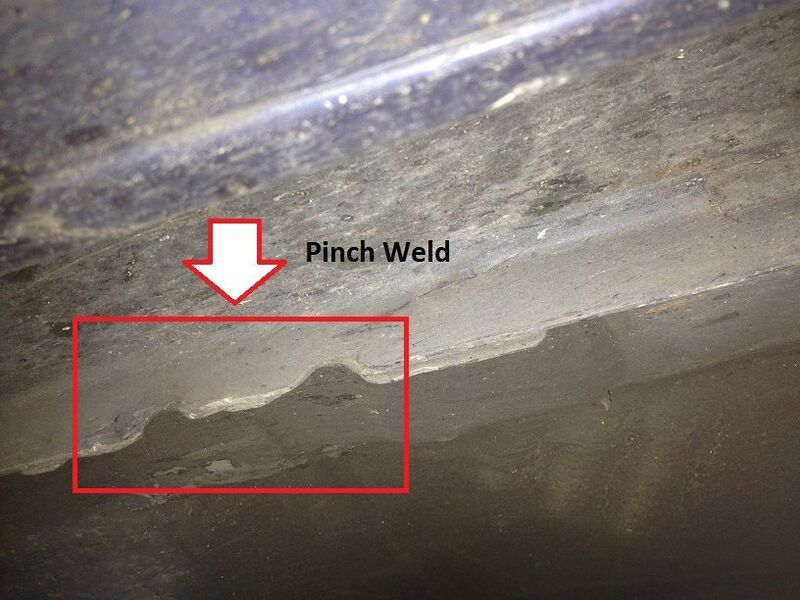 pinch welds areas are for the factory supplied scissor jack, you can put jack stands there and lift up with a floor jack - just have to watch that you don't distort/damage the weld. Center positions on the front and rear axles are if you want to raise that whole end up - have to have the right jack and make sure to use two of the same jack stands. Yup - combination of proper alloys and heat tempering. Harbor Freight sells them from under a $100 - which is tempting, but if the wrong alloy is used, that jack will collapse in a heartbeat. This is probably one of those pieces of equipment that you don't want to skimp on. Most of the better brands are made here in the US, to keep a better control on QC and material choice. I was not going to buy aluminum floor jack at HARBOR FREIGHT. I just did not know how much they cost. Maybe they sell them at auto parts store.